Discuss your point of view: It is good to speak up and say your point of view whether it is about your personal preferences or if something is bothering you. Don’t bottle up your feelings and thought. Respect your partner: Mutual respect is essential for maintaining a harmonious relationship. You and your partner’s individuality deserve to be mutually respected. Be supportive: Be there for your spouse/partner always. It is good to be encouraging and supportive at every step when they need you. Healthy relationships are about caring and being there, building each other instead of nagging and putting down each other. Compromise and start fresh: Disagreements happen with every couple, but are a part of every relationship. Even if you don’t see everything in the same light, it is essential to resolve misunderstandings and disagreements with maturity. Creating boundaries: Respect each other’s personal space. Just because you are married or in a relationship, is not a criteria that you have to be always together. All healthy relationships require space. Creating personal boundaries ensures that you are clear about your relationship and personal spaces. It is NOT a sign of distrust or secrecy. It is about being clear about what each other wants and is comfortable with. Enjoy activities together: Have your own space but do things together that are interesting. Go for a walk, joke and have fun. Enjoy every moment of life together. Bring sunshine to your life and others too. 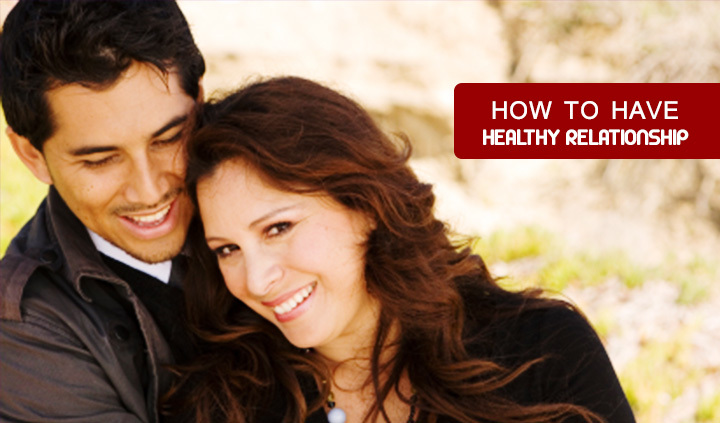 Creating healthy relationship is not difficult just needs some tender love and care.